In April, 2015, Google accounted for over 86% of all US searches. Bing and Yahoo together only have about 10%. Your website needs to rank high in the organic (unpaid) results of Google. It isn’t of much value if no one can find your site – especially if they can find your competitors. We optimize each website for the search engines by using descriptive page titles and META tags for your Keywords and page Descriptions. 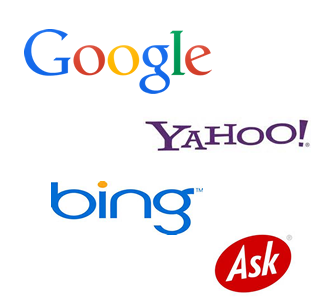 We create an XML sitemap and submit it to Google, Yahoo, Bing and Ask. This speeds up their process of indexing your website and helps position you better in their search results. Google Analytics is installed on your site so that you can track the number of visitors to your site and the pages they visit. After your site has been launched, you may decide to hire an SEO specialist – there are zillions of them. We suggest that you move carefully and do plenty of research before selecting someone to handle your SEO. You might find it useful to check out our blog. We regularly post updates and info on SEO and some of the companies that provide it. Also, don’t hesitate to give us a call. We will be happy to give you some info that we hope will be very helpful.